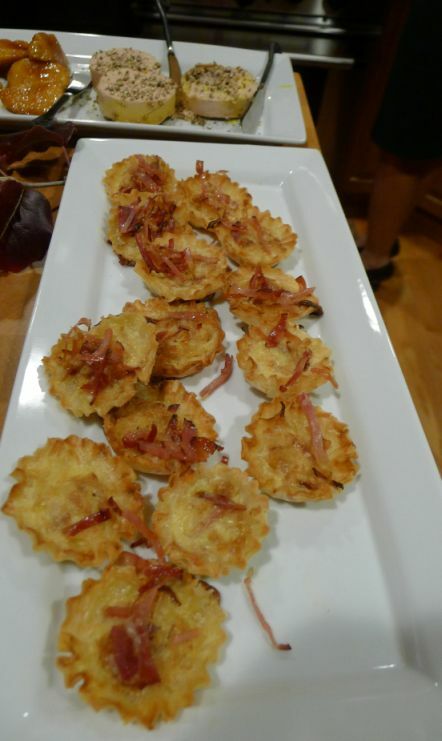 Our guests are here and it is time to bring out the appetizers. Because we have so much food for the evening I made sure not to overfeed our guests before dinner so I decided to serve only 3 types of appetizers. 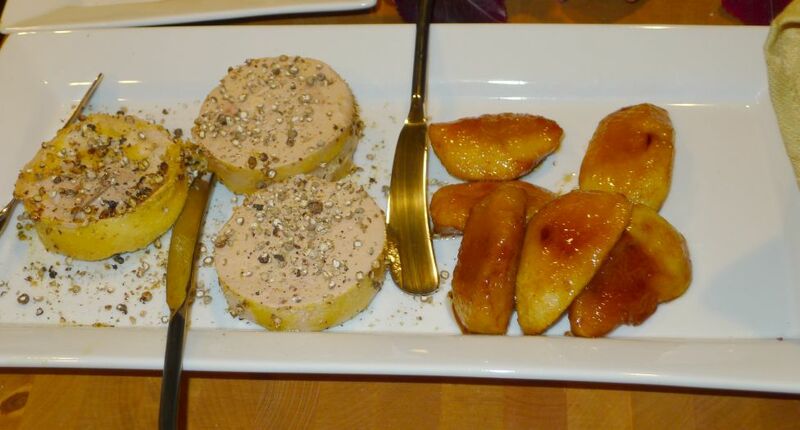 Canned foie gras with caramelized apples. 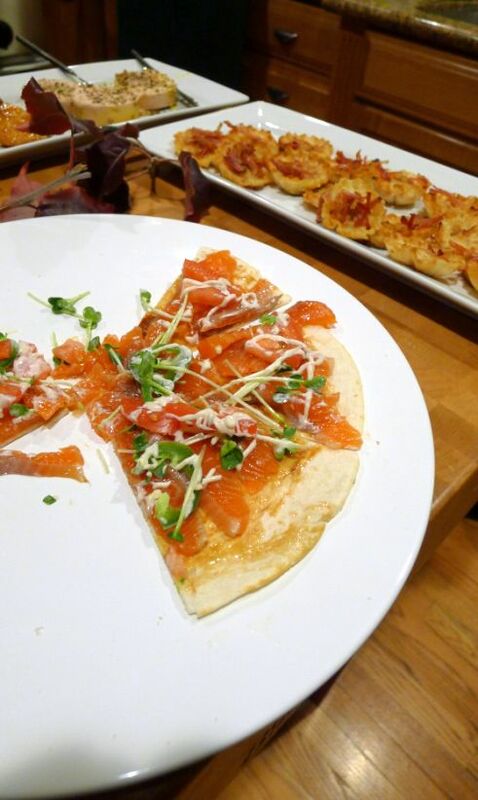 View of all 3 appetizers. 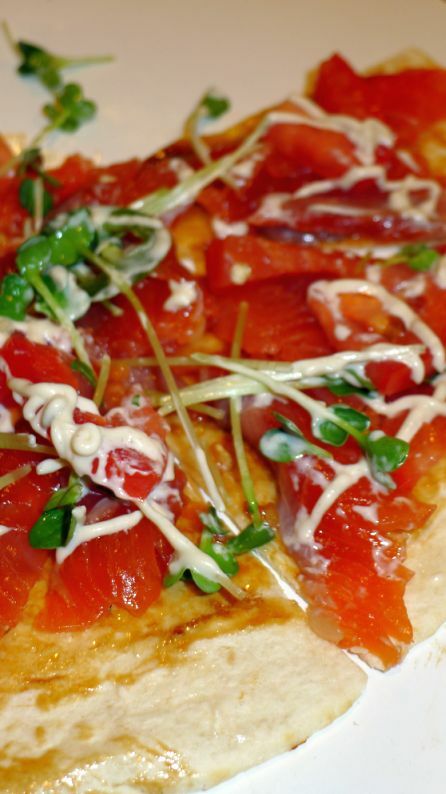 Close look at the Salmon gravalax pizza with anchovy aioli sauce. 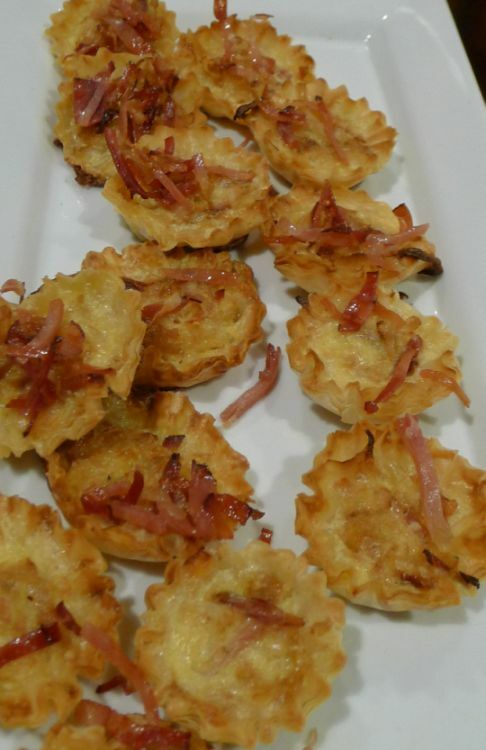 Homemade miniature quiche Lorraine with prosciutto bits. Last year we tried KFC's Turkey but it was not as successful as we thought it would be so this year I am going back to the traditional way by baking a 21 pounds turkey. Here I am brushing the outer skin of the turkey with melted butter and honey sot the skin is shinny, golden, and crispy. 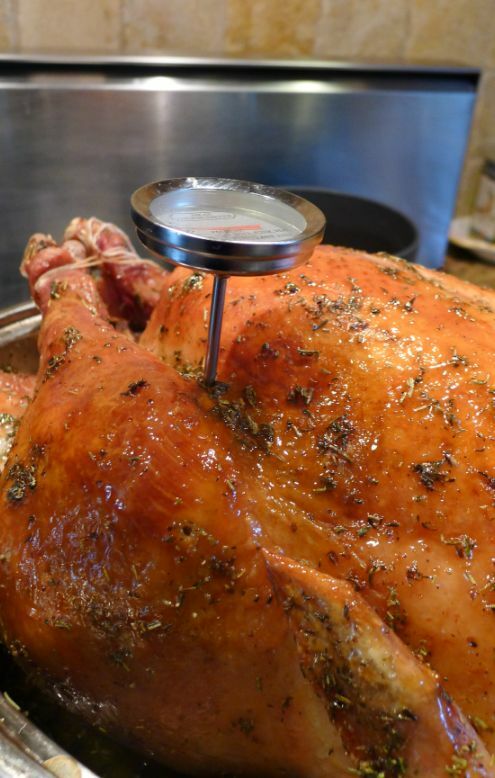 A thermometer is inserted in the thickest part of the thigh to read the temperature. 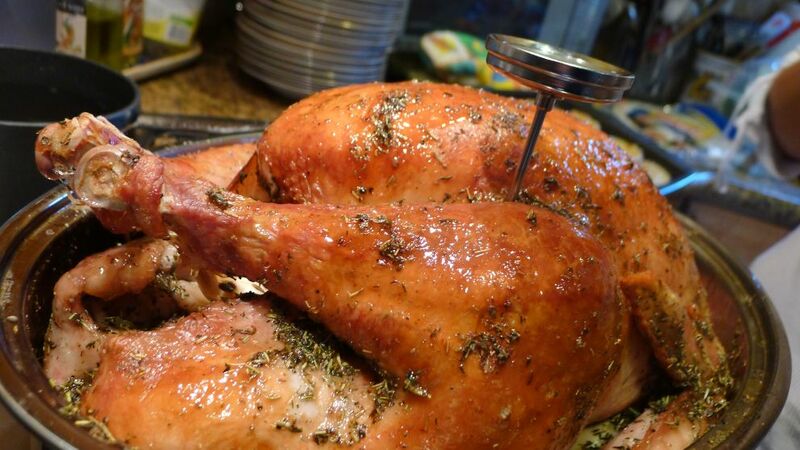 Once it is at the correct temperature the turkey is loosely covered and let to sit for at least 30 minutes or longer. 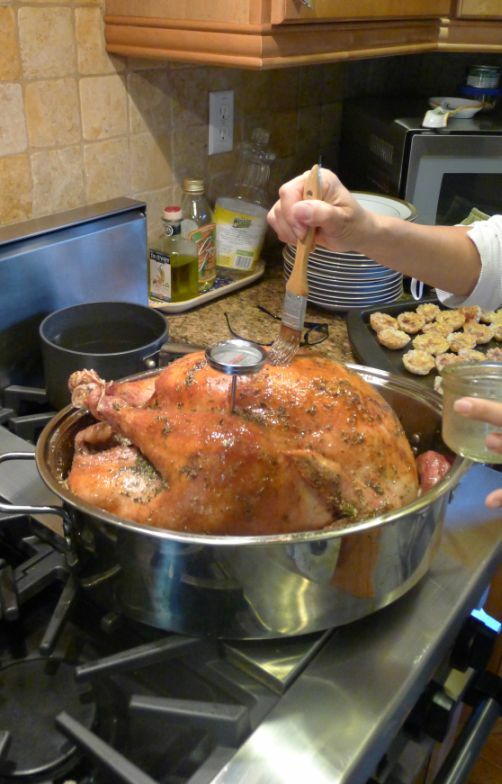 This will allow the cooking juices to be reabsorbed by the turkey, which will ensure moist and tender meat. 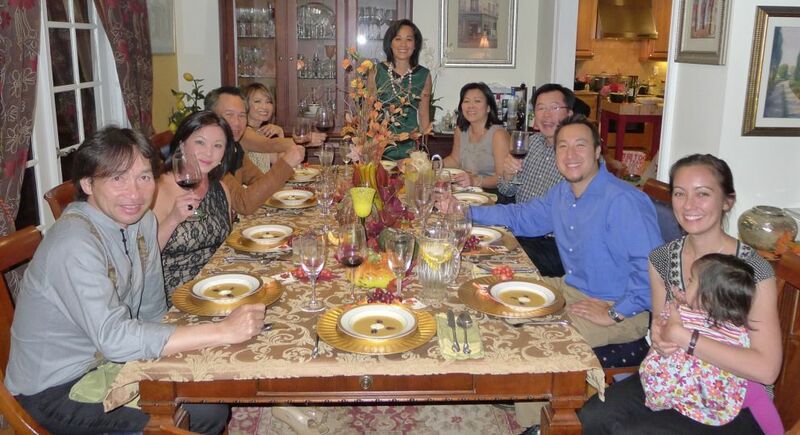 While the turkey is resting, we are serving soup. 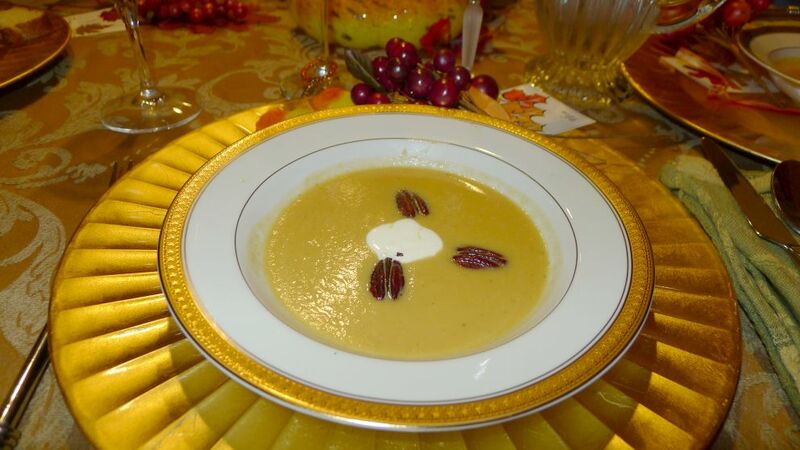 This year the soup is a departure from the traditional roasted butternut soup instead Maily choose to make a Pear soup with curried pecans. Loan showing us how the final presentation of the soup. Very pretty presentation! 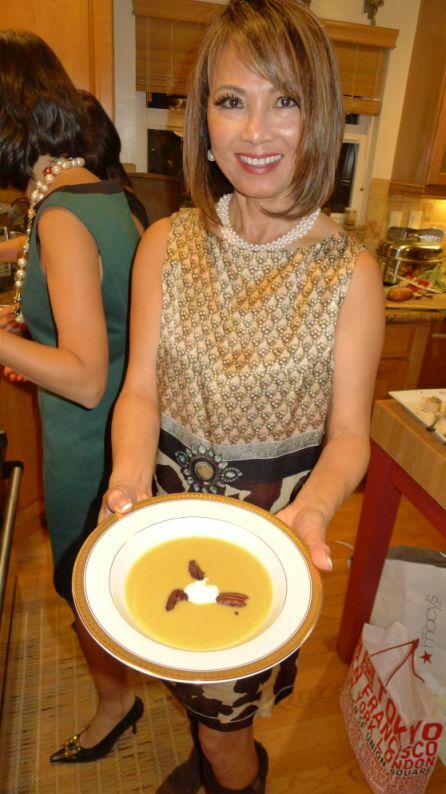 We all love the Pear soup! Very nice flavors with a bit of curry spice lingering in the back.